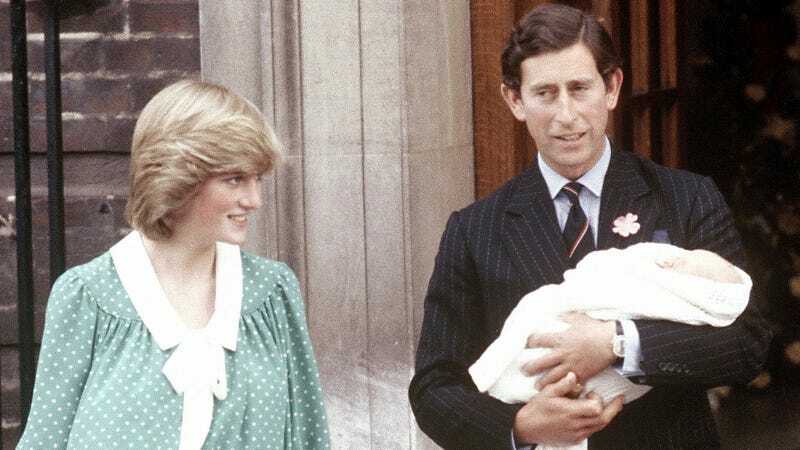 On this day in 1982, Prince William made his first public appearance. If you could call it that, considering he could’ve easily been mistaken for a blanket-wrapped butternut squash. Please enjoy this clip from the archives of the BBC, which notes that “just the top-corner of the heir apparent was visible,” and “His parents were the only ones who could see whether he’d opened his eyes long enough for a glimpse of his future kingdom and some of its more enthusiastic subjects.” Never too early to survey your future kingdom and subjects, young William. “The crowd had seen little more than a crop of fair hair poking out of the top of a blanket, but for some, it was the experience of a lifetime,” notes the announcer. Well, you certainly can’t see that crop of fair hair anymore.